You need income AND you also deserve to work in a job in which you thrive and grow! Don’t pick one or the other! Apply the advice in this webinar and generate REAL momentum. Land sooner in the RIGHT job, not just any job. If you are looking for a job, people have been wanting to help you and you have gotten a lot of advice. Some of it, if not most of it, was unsolicited. It comes from all sources, including those who have been there who think you should do what they did, as well those who are gainfully employed, and so consider themselves an authority on becoming employed. The advice you seek out probably comes from those you respect and who you would think would be able to tell you what matters, like former supervisors, potential supervisors, those who are successful and well-networked, and perhaps recruiters or human resources professionals. Of course, everyone is trying to advise you through blogs, articles, classes and webinars like this one. Some marketing gurus are trying to get to with enticing e-mails and want you to find a job the same way they found you. It’s working for them. You can even see their bank statements! Of course, there are the job search specialists and what they say, as well. I mean, they familiarize themselves with common challenges of job seekers and are focused on new products and methods that can help job seekers increase their competitive advantage. Was any of the advice you’ve heard conflicting? Was any of it practical? How much has actually led to real job leads? Has anyone revealed to you the “hidden job market” yet? 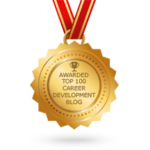 Did you edge out other candidates to become an employer’s top pick by applying their advice? Chances are, if you have gotten help like this, it was a rare gem and you depended on it to give you hope that you could actually land a great opportunity. Knowing how unpredictable the hiring process is and how anything can happen, chances are good that it didn’t work out and you had to start from scratch. How do I know this? Job seekers either aren’t trying hard enough or they are trying too hard to make something fit that just doesn’t. The good news is that GREAT job leads can be generated regularly by effectively leveraging your network and utilizing social networking tools. Being effective is the tricky part – I’m sure you’d like to hear that one magic bullet will work for everyone, and that is what a lot of the advice-givers out there would have you believe – THEIR WAY IS THE BEST WAY. The truth is that what works for you is completely dependent on your specific goals, target and challenges. This is probably not what you want to hear. This sounds like a lot of trial and error. How much time do you have to land your next job? Another truth? All the advice you have gotten wasn’t wrong. It is ALL right under certain circumstances for certain people. How can that be? Hiring managers can tell you what is important to them. Human resources professionals are experts at knowing how to hire the best people in the way that is best for their organization. Recruiters get to work for many different companies and can find and market candidates that match the needs of their various clients AS CLOSELY AS POSSIBLE. Other job seekers get how difficult it is to try to customize your resume submissions for multiple targets and how discouraging it can be to have a great opportunity fall through. Expert networkers know how accessible help is and do not hesitate to ask or give. Sales professionals know how to get around the gatekeepers. Social networking evangelists can tell you what all the bells and whistles do. Marketing gurus can tell you how to get the right message to the right recipient. Great resume writers can concisely package and validate your unique value. Job coaches will help you choose and proactively pursue a narrow target to get you on a career track that aligns with your goals. What makes this webinar different? Over the past 15 years, I have been studying what these individuals have been saying and I have been in ALL of their shoes! My own personal and professional network is teeming with thought leaders who fit each category and, because I have such passion for what I do, I follow them religiously. This does not mean that I agree with them! I DO NOT always agree with them! In fact, I see where they meet on the same page and where they dissent. I see how confusing that is for job seekers who struggle to implement all the advice and get consistent results. Have been working hard at their transition with little momentum to show for it. Want to learn how to work smarter, rather than harder, by using all of the technology and resources more effectively to get further and land sooner. It includes advice specifically generated from my sourcing, recruiting, sales and entrepreneurial experience, 12 years of experience as a social media trainer, 9 years as a career coach and professional résumé writer, and my personal experience as a job seeker and work-at-home mom. Most people in transition don’t have time to spend on trial and error, and trying everyone’s way can take you in so many directions that you actually STAND STILL. You need the income and you also deserve to work in a job in which you thrive and grow! You don’t have to pick one or the other! By applying the advice in this webinar, you will generate REAL momentum so that you can land sooner in the RIGHT job, not just any job. Once you know that there is an effective way to land a great job and that YOU CAN DO IT in spite of economic challenges or circumstances, you can take charge of your career. No unscrupulous company, no benefits package, no hostile working environment, no undervalued paycheck, no extreme work hours will ever hold you hostage again! 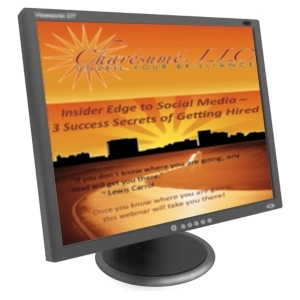 For $297, you will learn how to be hunted AND be the hunter on social media, with the prize of your target job in less time. The years that I have spent getting people hired! Pingback: Career Coaching, Personal Branding, Résumés, Social Media Strategy for Career & Income Optimization » Will a LinkedIn upgrade help you drive more business?